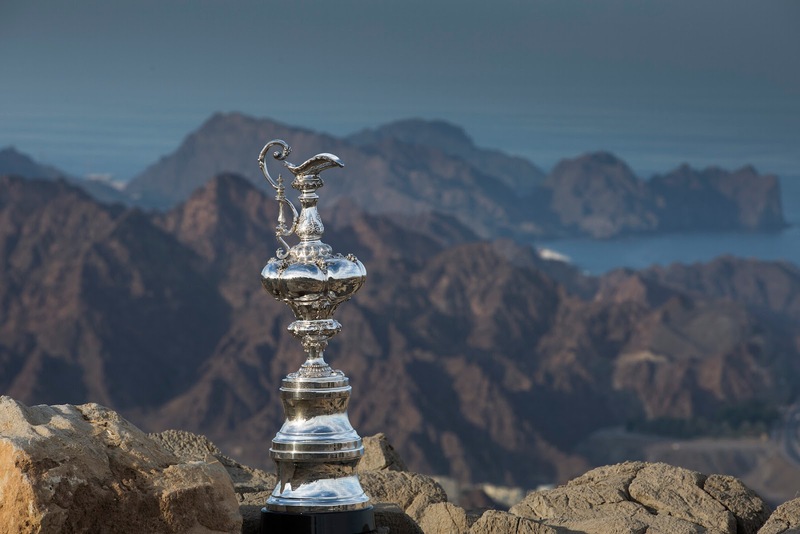 The Sultanate of Oman will create a rare slice of sporting history when it becomes the first country in the Middle East to host America’s Cup racing by staging the Louis Vuitton America’s Cup World Series Oman in February 2016. A point-scoring event for the opening stages of the 35th America’s Cup in Bermuda, the Louis Vuitton America’s Cup World Series Oman will take place in Muscat from 27-28 February, as the curtain raiser to the 2016 season, which will be spread over six different venues around the world. For many of the America’s Cup sailors, including Sir Ben Ainslie (Land Rover BAR), Dean Barker (SoftBank Team Japan) and Franck Cammas (Groupama Team France), the waters off the Sultanate of Oman will be familiar territory, since Muscat has been hosting high performance multihull racing every year since 2011. Near perfect sailing conditions that consistently deliver a 10-15 knot breeze combined with a sunny climate and warm waters have made Oman a popular destination for many Olympic Classes that have chosen to stage their World Championships at a time of year when the weather in Europe and North America limits training opportunities. The driving force behind the Sultanate’s sailing activity has been Oman Sail, which was established in 2008 to create a generation of sailors and raise the Sultanate’s profile as a high end tourism destination using its centuries old traditions with the sea as a platform to promote its sporting, cultural and economic potential. From grassroots sailing, introducing many thousands of girls and boys to the sport through its sailing schools and community programmes, through to elite participation, setting world records on its flagship MOD70 and winning two Extreme Sailing Series championships, Oman Sail has repeatedly broken new ground in its programmes both on and off the water, culminating in this exciting new development at the highest level of the sport, the America’s Cup. “We are delighted to announce that we will be hosting the Louis Vuitton America’s Cup World Series Oman here in Muscat for the first time and we are very proud and excited to welcome the America’s Cup community and its massive following to the Sultanate,” said Salim Al Mamari, Director General of Tourism Promotion for the Ministry of Tourism. The 2015 Louis Vuitton America’s Cup World Series events in Portsmouth (UK), Gothenburg (Sweden) and Bermuda, with teams entered from the UK, USA, Sweden, New Zealand, Japan and France, attracted enormous crowds at the venues with live action followed on television by tens of millions around the world. Oman Sail CEO David Graham believes that the wide reach of the America’s Cup will create new opportunities for the Sultanate and increase the country’s exposure around the globe. “The America’s Cup is the pinnacle of sailboat racing with a long and interesting history and we are thrilled to be hosting the first Louis Vuitton America’s Cup World Series event in 2016 here in Oman. 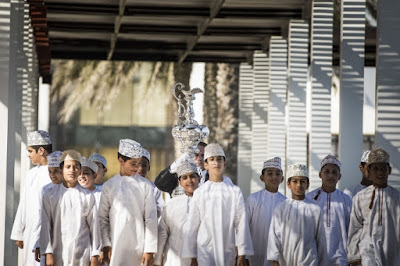 “Oman Sail has worked hard since 2008 to reconnect the people of Oman with their sailing roots and to create a generation of sailors. We have a very successful youth, women, national and international sailing programme and are actively generating socio-economic benefits for the country and contributing to the development of the Omani people through sailing. Hosting a Louis Vuitton America’s Cup World Series event will provide huge inspiration to our sailors and take us closer to our aims. The America’s Cup trophy took centre stage at the press event hosted by The Chedi, Muscat and attended by David Graham, Oman Sail CEO, Salim Al Mamari, Director General of Tourism Promotion for the Ministry of Tourism, and Paul Gregorowitsch, CEO of Oman Air. In February, spectators in Muscat are in for a real treat as the foiling AC45 yachts, capable of breath taking speeds, fly across the water in front of the fans. And with points counting towards the America’s Cup Qualifiers in 2017, the Oman event will give fans their first opportunity of 2016 to see all the runners and riders seeking to gain an early advantage.